I got this precious little thing in Singapore. It took me 3 malls to find a stock (very popular i tell you). I first laid my eyes on it in Manila when I accidentally stumble upon the counter and it was sold out. I was so confused with the names and finishes as everything is in Japanese. The colour is so pretty! It is very comparable with MAC Dollymix (which I loved and lost...booo). 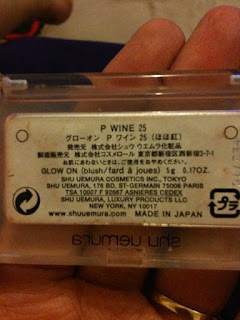 But Shu Uemura is smoother and the silver sheen/specks are prettier and more flattering to the skin. 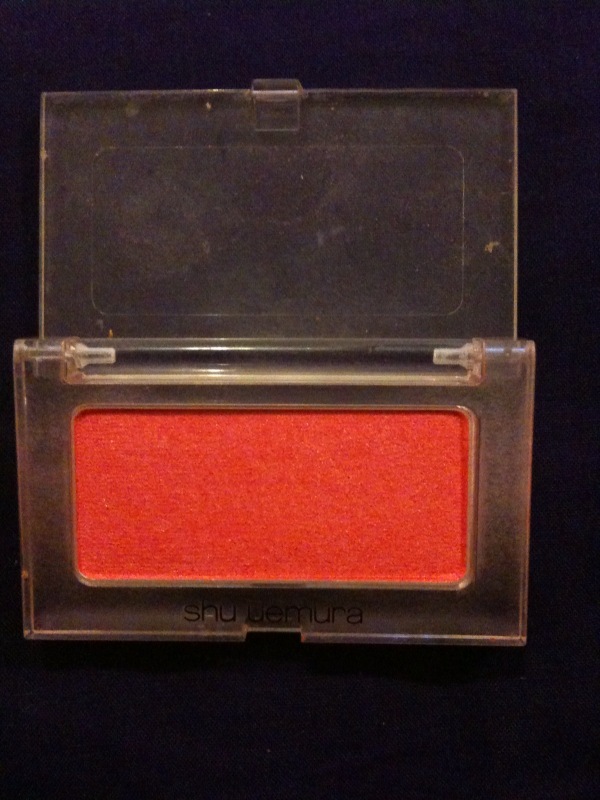 It's very velvety to the touch and very pigmented but it's not to harsh looking on the skin. 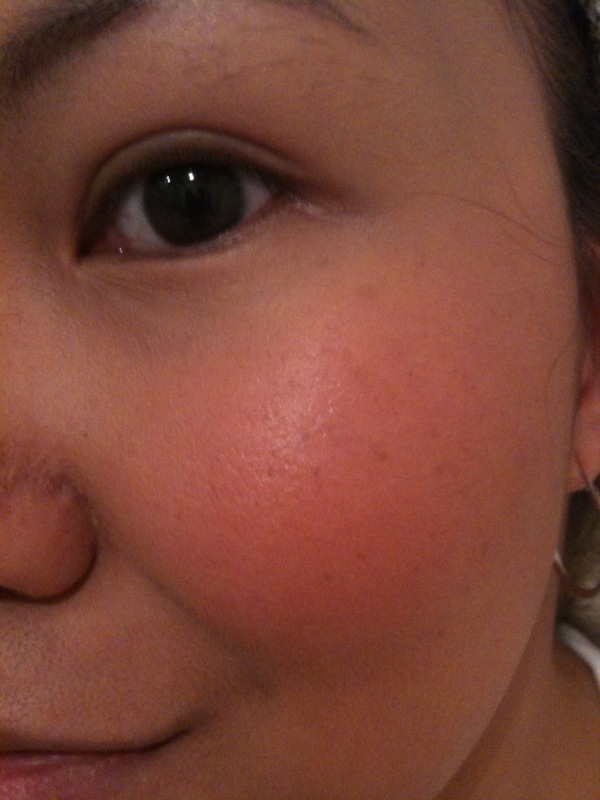 It gives you a natural looking flush on the cheeks. The sheen is a perfect candlelit effect (even on day time) and the texture is just so easy to blend it's a total joy to put in. And oh did I mention that it lasts all day? If silver sheen/specks is not your thing then try the other finishes in this colour! I really find that clever and confusing at the same time. So you better check the product and the finish before you pay. I almost got the matte one and thanks to some annoying kid I somehow paid attention to what I was buying. 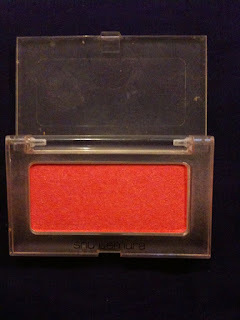 I use MAC 187 to apply it and if I am after a more intense finish, I use MAC 129 :) But any powder blush would do. Shu Uemura is available in Australia but only in Sydney and Melbourne. Wow! That does look very pretty! I have to get it now! Yes I got internet! But during the moving process I lost my camera charger so I cant upload any photos ahahha so now I have to buy a new charger! Then I can start blogging something! So stupid me!